Spectacular St Barts Villa For Sale – St. Barts – This luxury property for sale located in St Jean, nearly on top of one of the highest peaks, more than a half acre in one of the best and most appealing locations of Saint Barts with views of St Jean Bay and the Eden Rock. Oversized entertaining house with open dining and living room. Master kitchen with back entrance, library, TV area, office with controls of sound and light. Nineteen meter long infinity edge pool towards Saint Jean Bay. Various terraces around the pool with several outside dining possibilities. Beautiful tropical gardens. 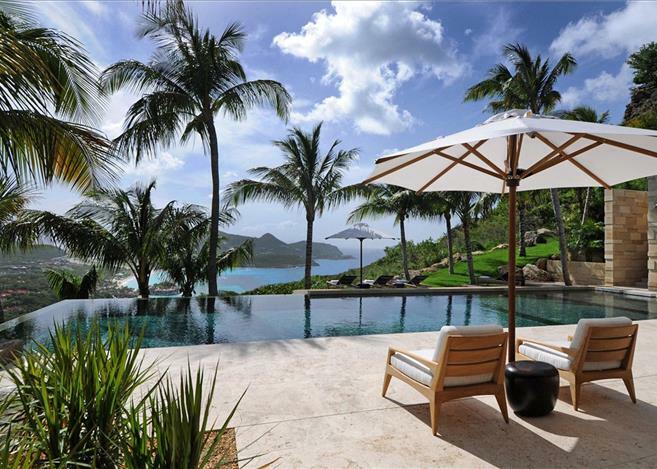 For Sale, Real Estate, St. Barts, Villas. Bookmark.